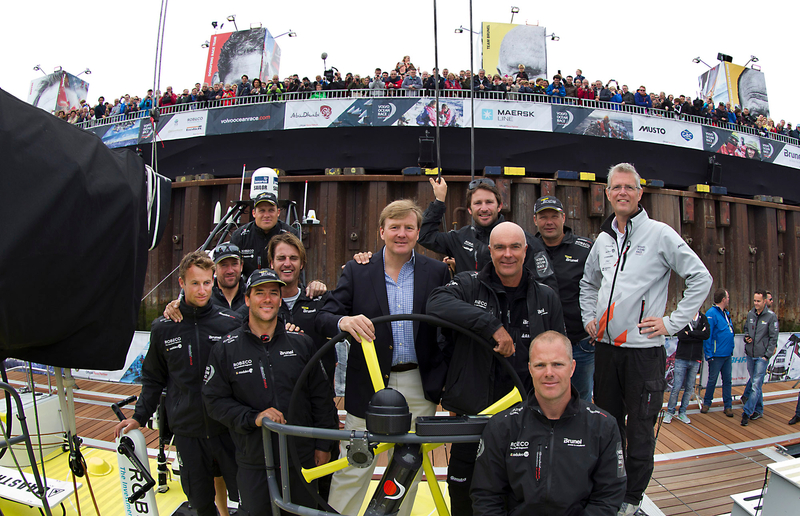 Team Alvimedica (Charlie Enright/USA) led the Volvo Ocean Race fleet out on the final ‘sprint’ to Gothenburg today, as the seven teams bade farewell to The Hague after a hugely successful pit-stop in the famous old Dutch port. 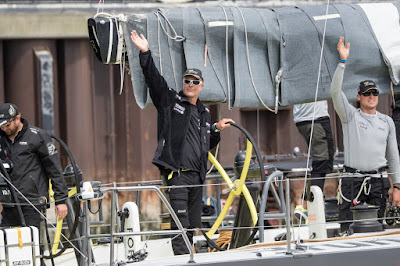 The Turkish/American boat retained the one hour, 46 minute lead they established in the first part of the 1,000-nautical mile-plus ninth and final leg from Lorient, France, to Gothenburg in Sweden, having arrived here just after 0130 local time on Friday morning. 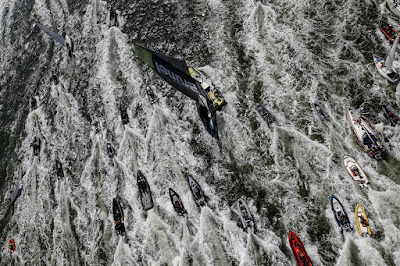 The seven boats have around two-and-a-half days of challenging sailing ahead of them in fluctuating wind and sea states, with the possibility of a compression of the fleet as the breeze drops further into the leg. They also must steer clear of numerous Traffic Separation Schemes (TSS), which litter their paths and have already caused penalty points for three teams in earlier legs following inadvertent infringements. 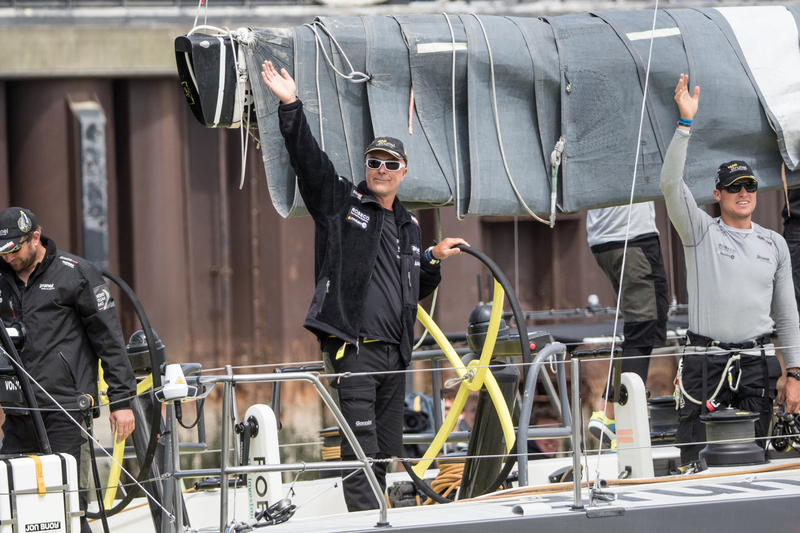 Leg 9 victory in Gothenburg would taste so sweet for skipper Charlie Enright and the youngest crew in the race, which is also peppered with experience including 50-year-old navigator, Will Oxley (AUS), who is taking on his fourth Volvo Ocean Race. 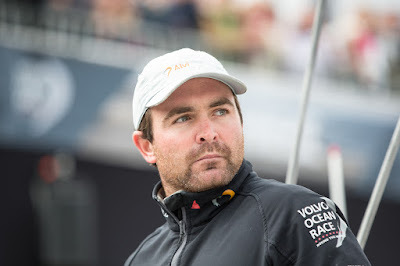 Team Alvimedica have yet to score a leg win since the race began in early October and nothing would delight Enright more than to follow Leg 8 winners, Team SCA (Sam Davies/GBR), in making the breakthrough. It would also give them an outside chance of an overall podium place, although a showdown for fourth spot looks more likely for them.Enright and his crew departed at midday local time/1000 UTC in around seven knots of breeze. “Once we get out of here we’ve got a lot of decisions to make. There’s the TSS zones and which way we’re going to go. Some of the guys who are still in the dock, can sit back and see which way we go and whether it works out for us. But that’s the same for any lead in this race” he told a pre-departure press conference. 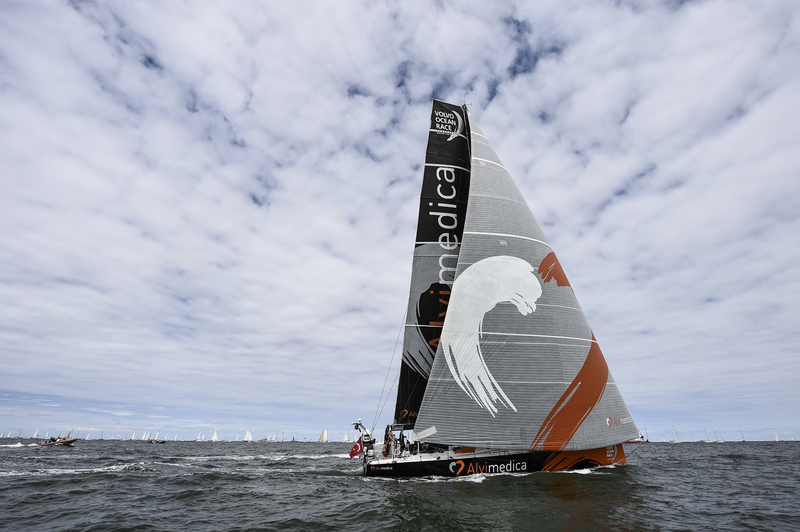 If the positions remain the same on arrival in Gothenburg as when the fleet finished in The Hague, Team Alvimedica would find themselves in the interesting position of being locked in joint fourth place on 34 points with MAPFRE (Iker Martínez/ESP). 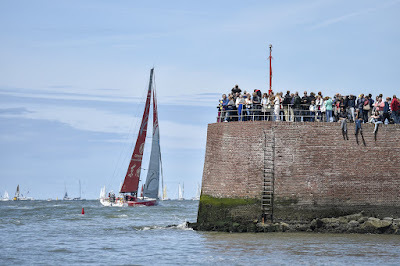 The Spanish boat left port in third place. 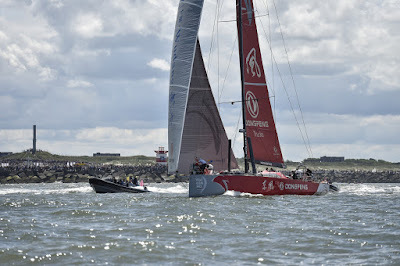 That tie could only then be broken by the In-Port Race Series that reaches its own finale on Saturday, June 27, with the Inmarsat In-Port Race Gothenburg. A similar situation exists for second place, where Dongfeng Race Team (Charles Caudrelier/FRA) are attempting to claw back a two-point deficit on current runners-up, Team Brunel (Bouwe Bekking/NED). The Chinese boat was second out of the harbour in The Hague, one hour 46 minutes behind Team Alvimedica, in three to four knots more wind speed than Enright’s crew. Team Brunel, who exited fourth, were given a late royal boost when the Dutch King Willem-Alexander visited the crew prior to their mid-afternoon departure. 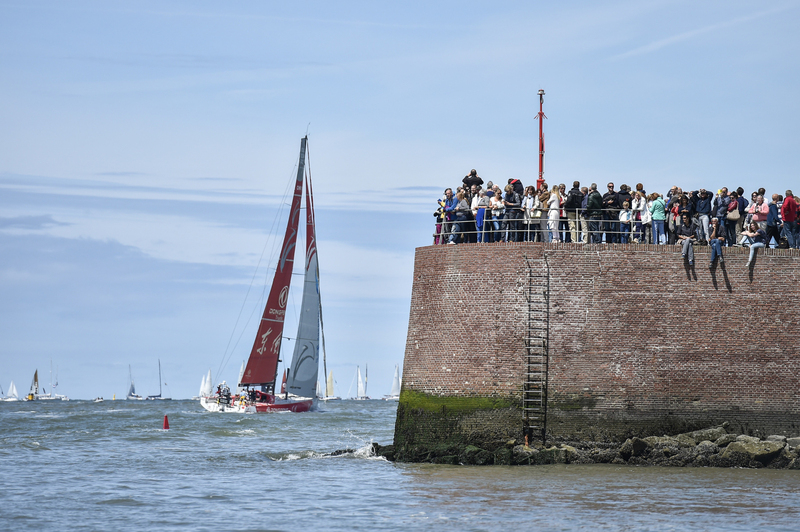 Although the Race will not receive official figures on attendance for several days, early estimates show some of the biggest crowds of the entire race – measured in the tens of thousands per day – have seen the boats close-up in the port in Scheveningen. 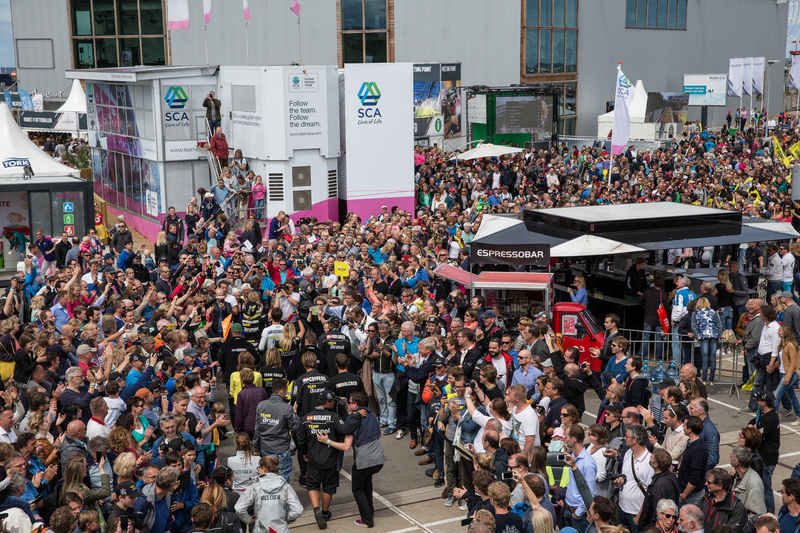 Team Vestas Wind (Chris Nicholson/AUS) and, finally, Team SCA (Sam Davies/GBR) were last to leave The Hague, the latter four hours and 32 minutes after Team Alvimedica. 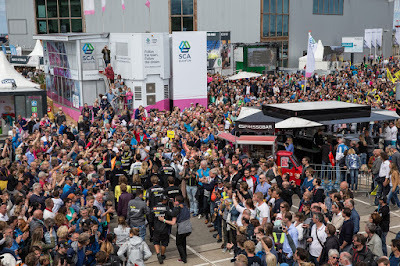 Abu Dhabi Ocean Racing (Ian Walker/GBR) were, meanwhile, simply hoping to avoid any mishaps on their way to what should be huge celebrations for them as overall Volvo Ocean Race 2014-15 champions in Gothenburg. 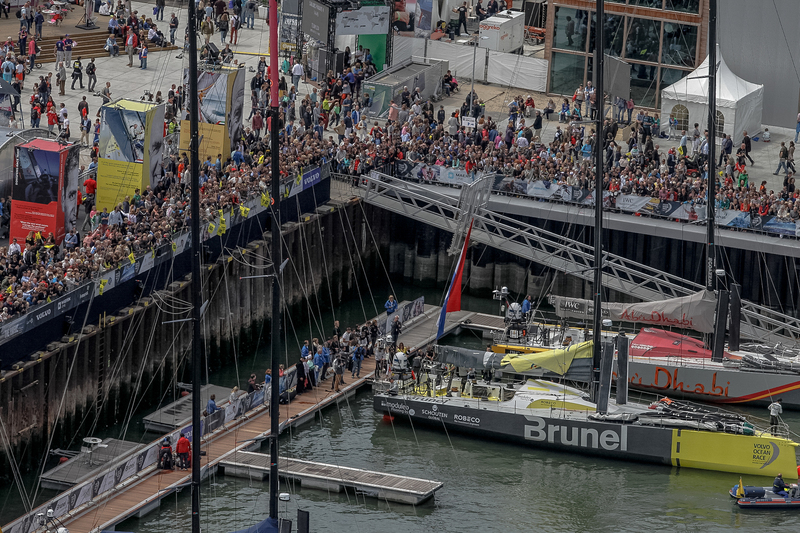 They hold an unassailable eight-point lead at the top of the standings and only last place in Leg 9, victory for Team Brunel, and a two-point penalty can ruin their moment of glory now.